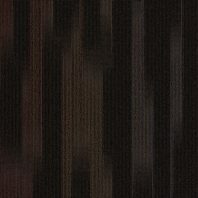 Few segments of a hotel receive as must concentrated use as an elevator, especially an employee service elevator. 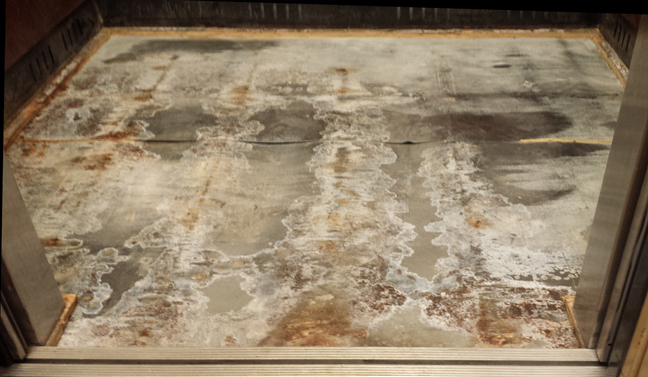 One of our Tampa-Brandon hotel clients asked us to restore their service elevator flooring back to excellence. 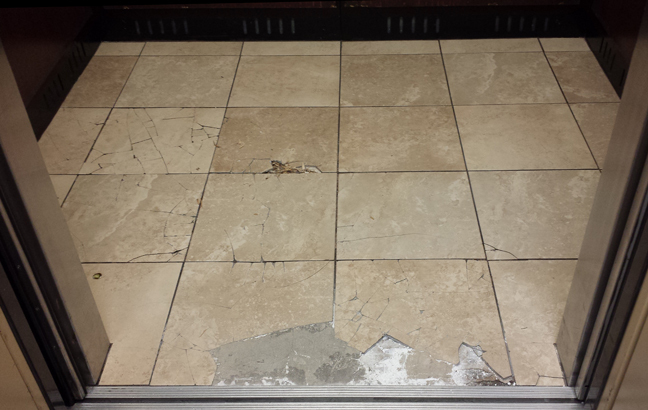 As you can see from the photograph below, their ceramic tiles were cracking. We removed the existing ceramic to discover that the problem was deeper than the surface. 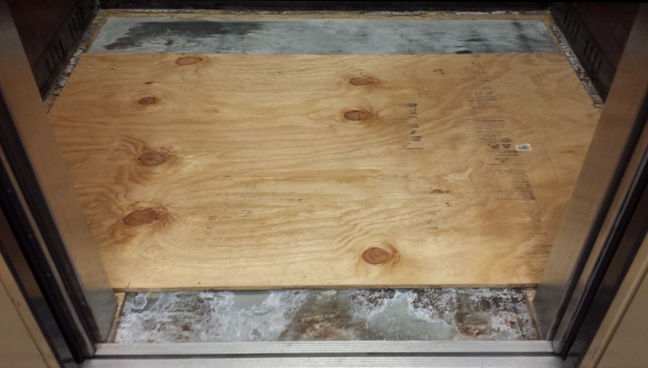 The plywood substrate was rotten. 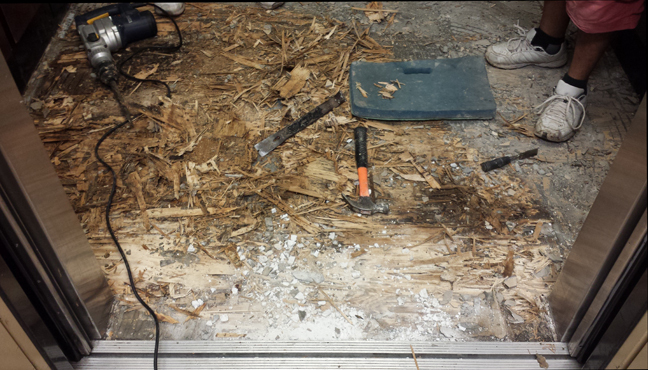 The plywood had to be removed. "Going down!" We were going down to the elevator's metal frame. Below is a picture of the sheet of metal that overlays the joists. The metal was discolored, but suitable for continued use. It was time to rebuild from scratch. 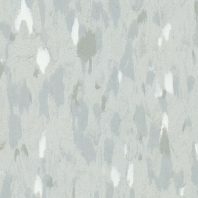 Ceramic tile is brittle. As such, ceramic must have a rigid foundation. So, we started with a 3/4-inch sheet of plywood. We topped the plywood with a 1/4-inch sheet of DUROCK cement board for even more rigidity and to create a perfect level finish of the top of new ceramic with the metal frame at the door. 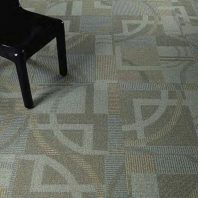 The level finish ensures that there is no trip hazard created by the tile. Sometimes, before you can upgrade an elevator, you must go down ... down to the original metal frame. 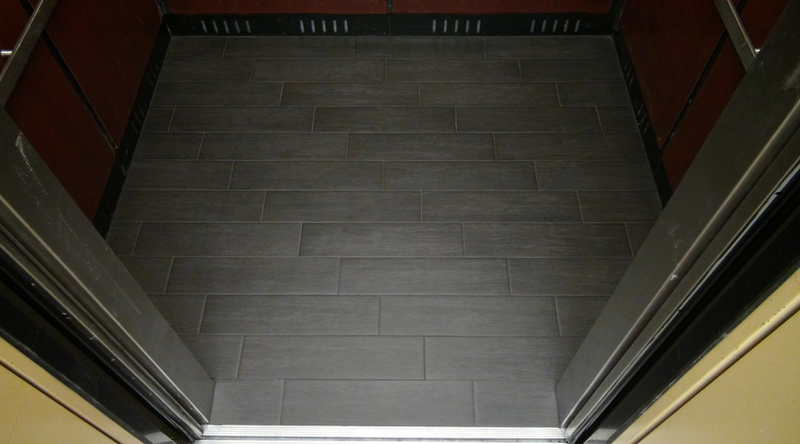 Our hotel customer's finished floor was a beautiful, black, porcelain tile (6 inches x 24 inches) with a moderate texture and a matte finish. We used a brick-joint layout and 1/8-inch grout joints.